A new key visual and the 2nd promo video for the upcoming Goblin Slayer Anime made a release earlier today on the official website for the series.The anime is the adaptation of Kumo Kagyu’s dark fantasy light novel series, also by the same name. The 2nd PV and the main visual release is in line with Goblin Slayer Anime’s upcoming premiere in October. These details were also part of the Anime Expo event on Sunday, which the author attended as a guest. Takaharu Ozaki, whose previous work inclides Persona 5 the Animation – The Day Breakers will be directing the anime at WHITE FOX. Furthermore the main staff for the series are as follows: Hideyuki Kurata will be doing the series composition and will work on the scripts alongside Yousuke Kuroda (My Hero Academia). Takashi Nagayoshi is in charge of designing the characters. 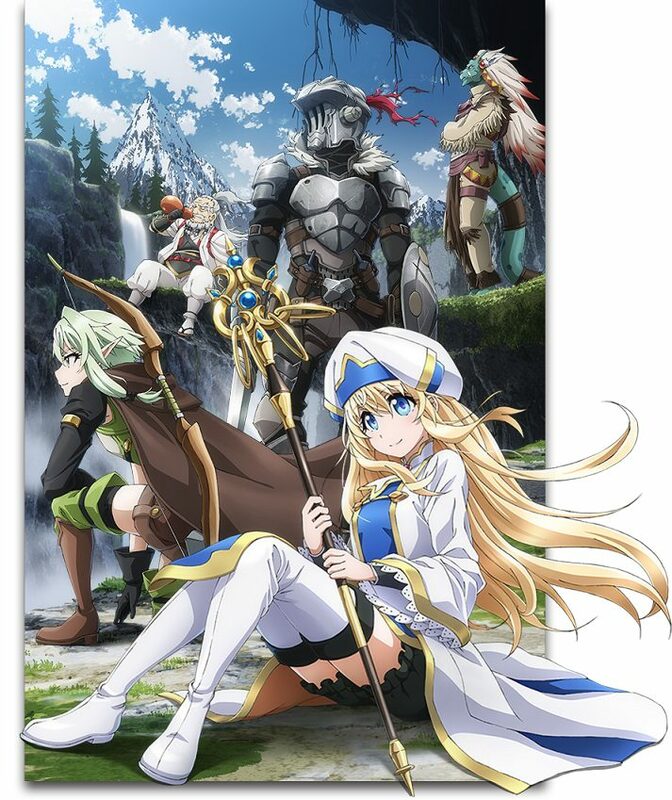 The main visual features the young priestess and Goblin Slayer (in armour). Also, other characters from the series such as High Elf Archer and Lizard Priest are seen along with them. The story is about a young priestess who puts together her first adventuring party. Very soon they find themselves in trouble when a swarm of goblins start to attack them. A mysterious man in armour comes to their aid. Known as the Goblin Slayer – a man with a mission to exterminate all goblins, by any and every means necessary. Soon, this daring act makes rounds and now there is no telling who might show up next. Apart form the novel series, there is a main manga adaptation of the series. Also, do check out this news of the upcoming Goblin Slayer: Brand New Day spinoff manga. If you look forward to this anime do let us know in the comments section below. Also, do share your list of best dark fantasy anime or manga. Also, check our summer 2018 anime guide.